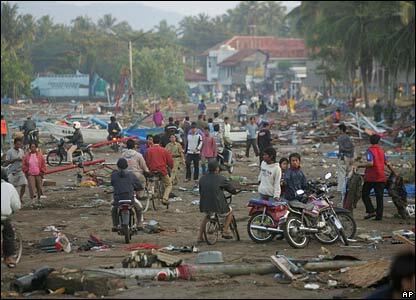 Hundreds of people are now known to have been killed in a tsunami which struck the town of Pangandaran on the Indonesian island of Java. 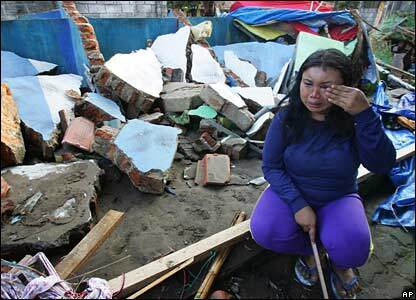 The tsunami was triggered by a magnitude 7.7 undersea earthquake which shook buildings in the capital, Jakarta, some 270km (170 miles) away. Hotels, businesses and houses were devastated by the two-metre-high wave which hit the resort town on Monday afternoon. 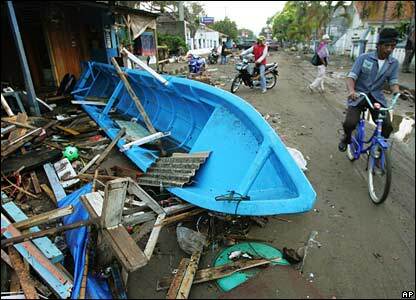 The wave swept boats onto the shore and littered the streets with debris. 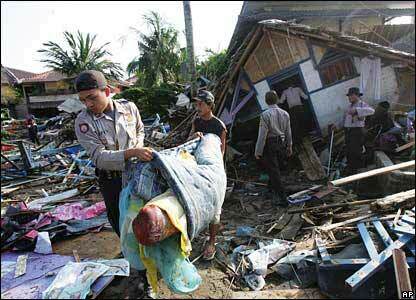 Rescue workers have been sent to the scene and officials fear that the death toll will rise further. 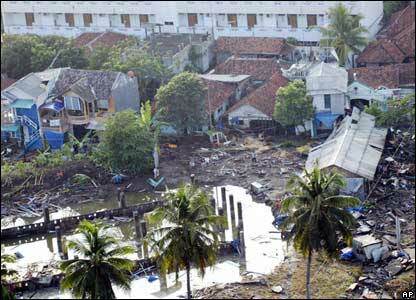 Hundreds of people have been injured, and thousands displaced by the tsunami. 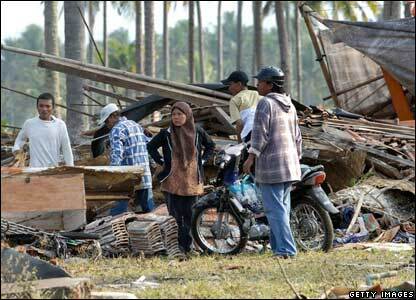 Relief items such as tents and food are being sent to help the victims.